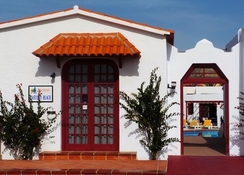 The family-friendly Castillo Beach Bungalows is located in the vibrant tourist locality of Caleta de Fuste. It offers peaceful surroundings away from the hustle and bustle of the city life. The hotel features outdoor pools for both adults and children, a tennis court, spa services, and is 2.5km from the Fuerteventura Golf Club. 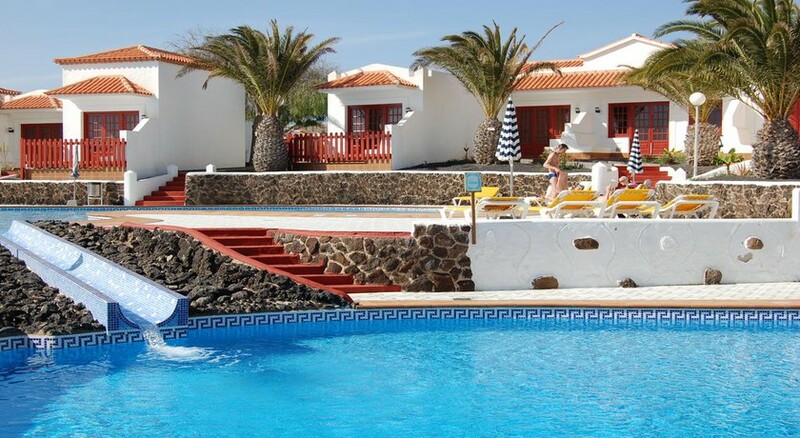 Castillo Beach Bungalows is only a short drive away from the nearest sandy beach of Caleta de Fuste, plus Jandia and Corralejo nearby - a great way to spend a day outside of the resort. The bungalows boast typical Canarian-style décor, with comfortable amenities and facilities including a kitchen, terrace, bathroom, bedroom and sofa bed – the apartments have a maximum capacity of four people, making it a great complex for couples, families and friends. Fuerteventura Airport is the closest airport to the resort at a distance of 8km. The Castillo Beach Bungalows is a 15-minute walk away from the golden Caleta de Fuste beach, making it an ideal spot for guests that love to be by the coast. 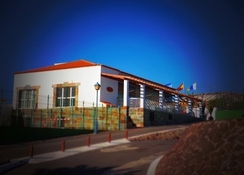 Golfers can visit the Fuerteventura Golf Club, which is situated at a distance of 2.5km form the hotel. The nearness of the airport, at only 8km from the resort, makes it a smooth drive to and from the hotel. Restaurants, shops and supermarkets are within a 500m radius of the hotel, which is close by to all the main tourist attractions. 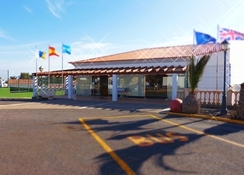 The Fuerteventura Airport is about 8 km from the resort. The room types available in this hotel are Bungalow One-Bedroom-Standard Rate, Bungalow One-Bedroom-Non-Refundable Rate, Double Bedroom Bungalows. One-Bedroom Bungalows offer two single beds and an additional sofa. These rooms would be ideal for a family with one or two children. They also come with a private terrace, TV, toaster and kettle, with the availability of cots on request. On the other hand, Two Bedroom Bungalows offer four single beds, two in each bedroom along with a sofa in the living room. All the rooms come with fully equipped kitchen, oven, microwave, coffee, electric heater, iron, ironing board, TV, hairdryer and much more. The Castillo Beach Bungalows houses a restaurant and a bar. The restaurant offers breakfast and other meals to guests, while the bar and café offer snacks and beverages throughout the day. Apart from this, you can take advantage of the In-room food and drink service provided by the hotel. Nearby restaurants include Nestor's Restaurant & Steakhouse, Pizzart Italiana, Bollywood Spices, 3 amigos and many more. There are many entertainment facilities available at Castillo Beach Bungalows and in the surrounding resort. There are two separate outdoor pools - one for adults and one for children. There are sporting facilities on-site if you're up for playing tennis, or if you prefer a more chilled vibe, indulge in a refreshing hot steam bath and massages at the hotel's spa and sauna. You can try out Thalassotherapy, squash tennis, beach volleyball and bowling in the area. There are also windsurfing and diving centers to enjoy the Canary Island surf. 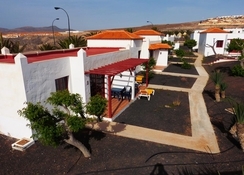 Great location, apartment was fab but basic, plenty of bars and food close, everything good for a family with 4yr and 8yr old children, definitely go again.